W. Gardner Campbell is Vice Provost for Learning Innovation and Student Success and Associate Professor of English at Virginia Commonwealth University. Before coming to VCU, Gardner was Senior Director for Networked Innovation in the Division of Technology-Enhanced Learning & Online Strategies (TLOS) at Virginia Tech, where he also served as an Associate Professor of English. Prior to his appointment at Virginia Tech, Gardner was founding Director of the Academy for Teaching and Learning at Baylor University, as well as Associate Professor of Literature, Media, and Learning in the Honors College. He also served as Professor of English at the University of Mary Washington, where from 2003-2006 he was Assistant Vice-President for Teaching and Learning Technologies. Gardner received his B.A. in English from Wake Forest University, and his M.A. and Ph.D. in English from the University of Virginia. He is a Fellow of the Frye Leadership Institute (2005), was chair of the Electronic Campus of Virginia from 2006-2008, and has served on program committees for both EDUCAUSE and the EDUCAUSE Learning Initiative. From 2009-2012, Gardner was on the Board of Directors of the New Media Consortium (Vice-Chair, 2010-2011, Chair 2011-2012). 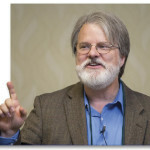 A past member of the ELI Advisory Board (2007-2011) and the Advisory Board of the National Institute for Technology in Liberal Education (2011-2013), Gardner currently serves on the Editorial Boards of the Journal of Interactive Technology and Pedagogy and the Journal of Information Fluency.